When a chain of severe storms swept across western Ireland in December 2015, the county of Galway experienced devastating floods that cut off 472 properties from roadways, flooded 62 homes, and rendered major transportation routes impassable. Public safety was of utmost concern. But Galway County Council was able to coordinate a fast and effective emergency response by employing the ArcGIS platform. In 2013, the council replaced all its separate, multivendor GIS packages with Esri’s suite of technology. Having all its geospatial data in one place—and accessible via the web and in the field—enabled Galway County Council to rapidly and intelligently protect property and safeguard lives during the crisis. From the moment the first flood warnings were issued, Galway County Council was acutely aware of the challenges it would face. A similar flooding incident had occurred in the county six years earlier. On that occasion, the council struggled to collect data on the rising waters quickly enough to support emergency responses. It also found it difficult to share critical information with the public and other stakeholders, such as the Irish Defence Forces and the Gardaí (Ireland’s national police force). This time, however, the council was better prepared. It had recently implemented new GIS software from Esri Ireland, which gave the council the ability to react remarkably quickly to the emerging crisis. The council used ArcGIS for Server to store its spatial information in one centralized spot, which was a first. This eliminated multiple databases and reduced data duplication; it also made a single source of accurate data available to all the council’s GIS apps. “ArcGIS gave us seamless integration of data and GIS services across mobile, desktop, server, and web platforms [both] online and offline,” said Mark Conroy, Galway County Council’s information systems project leader. So while the 2015 storms raged over Ireland, the council was working quickly to mitigate their effects. 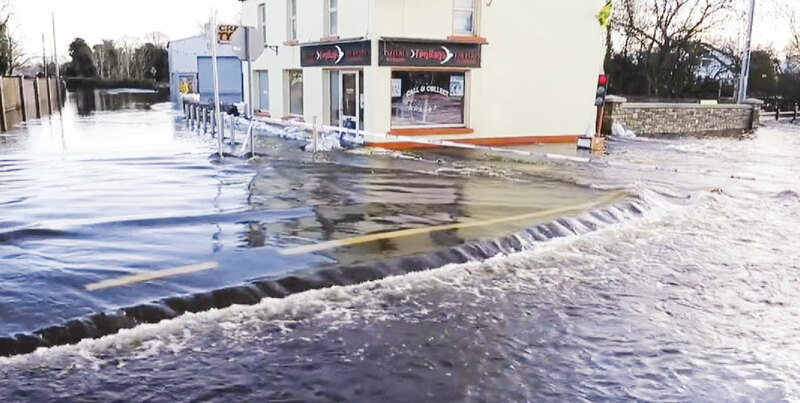 With ArcGIS, Galway County Council could see precisely which homes and businesses were flooded or in danger of flooding, as well as which roads were closed and damaged. Galway County Council swiftly set up a GIS-based web service to capture flood information. This data was then stored in the cloud using ArcGIS Online. Regional engineers, technical staff, and other council employees used Collector for ArcGIS to conduct field surveys and upload flood details to the web service via their smartphones and tablets. Simultaneously, staff in council offices employed ArcGIS for Desktop to add information about road closures and upload new satellite imagery when it became available. 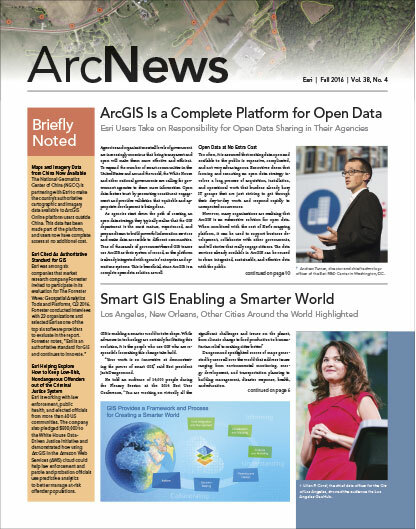 All this information was automatically integrated into interactive maps in ArcGIS Online. These maps were immediately made visible to all staff, partners, media, and the general public. With ArcGIS, Galway County Council could see precisely which homes and businesses were in danger of flooding. This allowed the council to quickly deploy resources to the places that needed them most and keep everyone who was involved informed. Rather than waste time collating data and responding to requests for information, staff instead focused on making arrangements to clear drains, dig culverts, and elevate roads. Thanks to the timely implementation of such protective measures, Galway County Council helped save 63 properties from immediate threats caused by the storms. During the height of the crisis, Galway County Council also used its ArcGIS maps to share situational information each day with partners that included the Office of Public Works, the Health Service Executive, the Gardaí, and the Irish Defence Forces that were called in to assist. The maps helped the different agencies better coordinate their activities and make effective decisions. “Without a doubt, ArcGIS played a key role in helping us to focus on vulnerable households, deliver constructive support, and alleviate suffering in the worst affected communities,” said Conroy. Additionally, to keep citizens informed about areas of risk, Galway County Council used Twitter, Facebook, its own website, and local media to direct people to its online flood map. Galway County Council looked back on how it handled the crisis with satisfaction. Not a single life was lost in the entire county. The council also now has a full GIS-based record of the extent of the flooding. Using this, Galway County Council will collaborate with the Office of Public Works to make flood alleviation and mitigation plans.